In the tradition of Zoe Heller's What Was She Thinking? 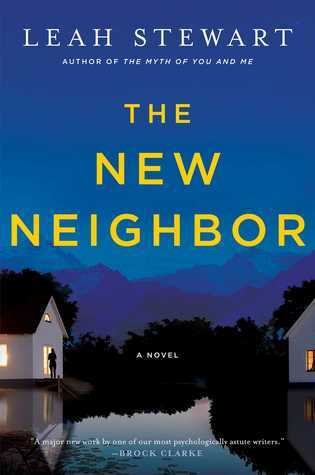 Notes on a Scandal, The New Neighbor is a darkly sophisticated novel about an old woman's curiosity turned into a dangerous obsession as she becomes involved in her new neighbor's complicated and cloaked life. Ninety-year-old Margaret Riley is content hiding from the world. Stoic and independent, she rarely leaves the Tennessee mountaintop where she lives, finding comfort in the mystery novels that keep her company, that is, until she spots a woman who's moved into the long-empty house across the pond. Jennifer Young is also looking to hide. On the run from her old life, she and her four-year-old son Milo have moved to a quiet town where no one from her past can find her. In Jennifer, Margaret sees both a potential companion in her loneliness and a mystery to be solved. But Jennifer refuses to talk about herself, her son, his missing father, or her past. Frustrated, Margaret crosses more and more boundaries in pursuit of the truth, threatening to unravel the new life Jennifer has so painstakingly created and reveal some secrets of her own. As soon as I read the blurb's comparison to Zoe Heller's What Was She Thinking, I requested a copy of this one from NetGalley. Unfortunately that comparison seems to be a bit...overambitious. It's not that the writing here is bad, it's just not great and it's definitely not something I'd characterize as literary in the way I would Heller's novel. It's straight up women's fiction - decent women's fiction, but certainly not what I'd consider a work of literature either. The author does a fine job and could easily blend in with Kristin Hannah, Barbara Delinski, or Jodi Picoult. There are mysterious pasts explored in both the present and during Margert's time as a nurse in World War II, but the real meat of the book is focused on the characters' emotions and relationships. My only critique in terms of the quality of writing is that I found several plot trails to be extraneous to the story as a whole. She starts going interesting places with Jennifer's new Megan, her potential alcoholism and oppressive husband, but this thread never really leads anywhere and just fizzles out at the end. My real problem with the book lay in what I felt like was a misleading blurb. Phrases like "darkly sophisticated" and "dangerous obsession" just do not describe anything found in the book. Had I known it was straight up women's fiction, I probably wouldn't have chosen it. The description of a dark novel, a thriller, a book with danger and the comparison to Heller's What Was She Thinking are what drew me to request the book. Nothing even remotely dangerous happens here. There is no crime committed, just a curious, lonely old lady who fancies herself a detective. No one is ever in danger of anything other than having a secret past exposed and potential gossip. It's really not that the book itself isn't successful for what it is - women's fiction with two relationship-based mysteries. I enjoyed the read, particularly the portions set in the past, but I felt like I spent the entire book waiting on a sense of danger, dread, or suspense that never came. I kept thinking at any moment I was going to be introduced to larger stakes for the characters or an unforeseen twist, but it plays out as you would expect with no surprises or twists. It's a fine book and if you're a fan of women's fiction, it's worth a read. But don't go into it expecting dark psychological drama or any form of suspense/dangerous stakes. The book is about relationships and what the truth means to different characters and how they choose to face their pasts. It does get bonus points for being set in and around Sewannee, Monteagle, and Chattanooga - all places I know and love. Thanks to NetGalley for providing me with a copy to review!